This year we managed to get fliers out to our entire neighborhood and it paid off! We were so thrilled with the show of support our neighborhood gave to our food drive. Right off the bat after distributing our fliers we had someone call and want to arrange a pick up of food they had to donate. We were so excited! These lovely neighbors of ours made a special trip to the store to buy food for donation! 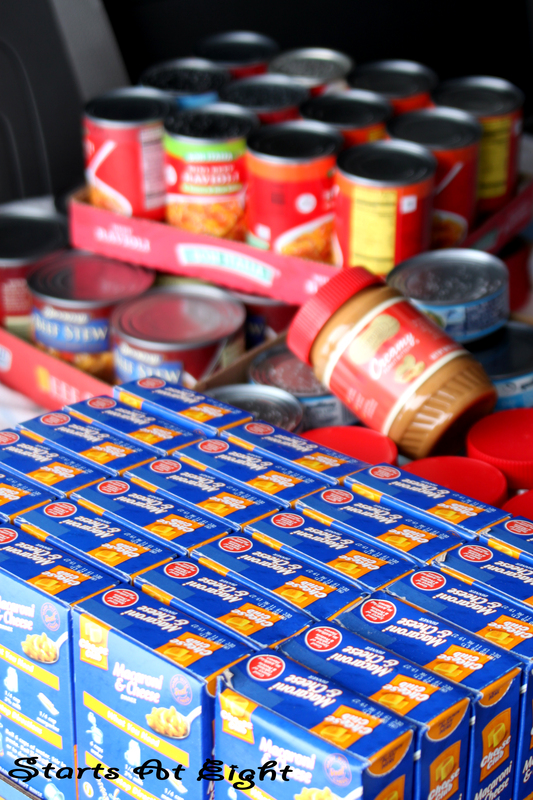 Below is the picture of what was our first generous contribution to our 2011 Food Drive! You can see pieces of paper in our hands in the picture below. 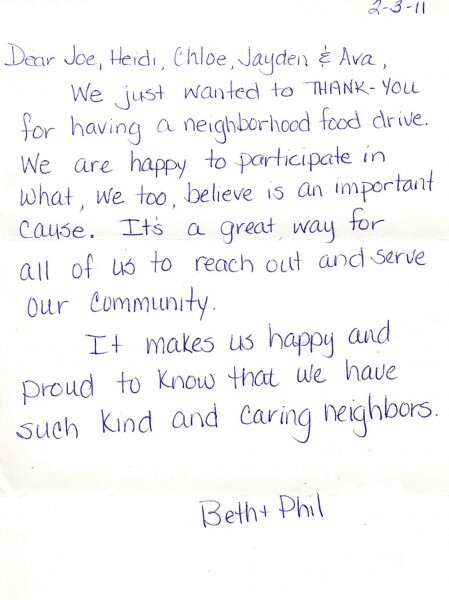 As we pick up donations we leave a thank you note in it’s place. We greatly appreciate our neighbors supporting us in this service project to our community and want to make sure they know that! 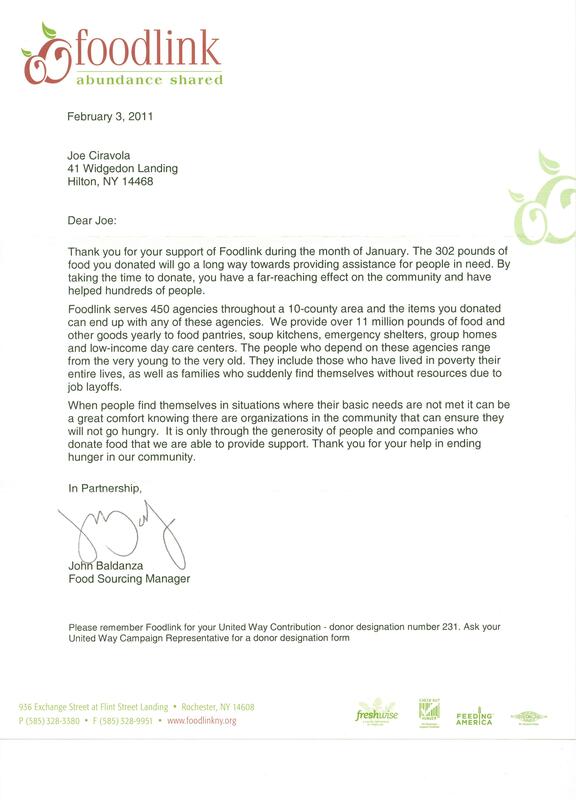 Thanks to them we were able to donate 302 lbs of food, more than quadrupling our donation from 2010!! 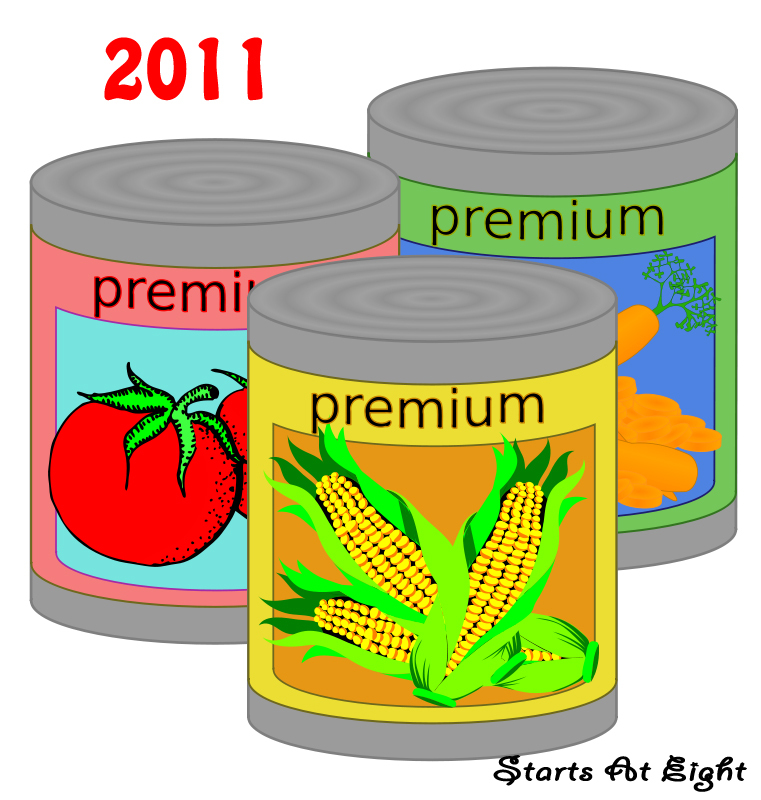 Our goal for 2012 is to expand into a nearby neighborhood. We are hoping to start with maybe just one main street and see how well it goes for us. Eventually we think we would like to enlist the help of friends in other neighborhoods who could help distribute fliers and be a drop off location or help with the pick up in their area. Not sure if that is too big for us to manage or not, we just keep taking one year at a time and trying to improve the process a little each time! 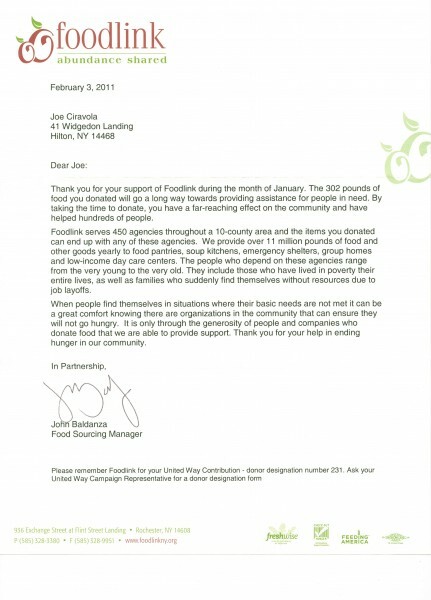 This is the letter we received from Foodlink after delivering out 2011 donations. 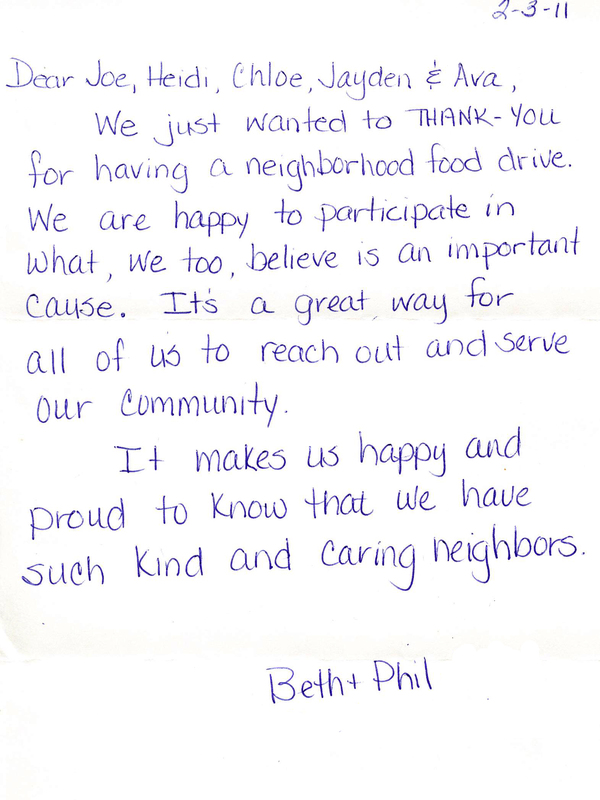 Then, much to our surprise we received this awesome letter from one of our neighbors!